In “TaylorMade SLDR White Driver Review,” 2nd Swing Golf Blog writer and Long Drive pro golfer Teddy VanRanst asks if the TaylorMade SLDR White Driver is more hype rather than substance on an already great club. 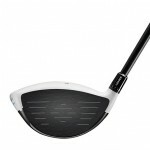 The 2014 TaylorMade SLDR White Driver is available HERE from 2nd Swing. 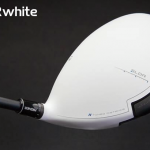 The world’s largest golf manufacturer brought the white crown design back (Many say unnecessarily, even greedily, for a just another new “product lifespan.”) from the TaylorMade R1 and TaylorMade R11 drivers for the Limited Edition TaylorMade SLDR White Driver. It retails for $379 to $399, but is it worth it? Our critic thinks it’s not just some marketing gimmick. The color contrast at address is an improvement. The TaylorMade SLDR White Driver’s eponymous crown, replete with Twitter hashtag — #SLDRwhite (Click on image to go to the stream.). 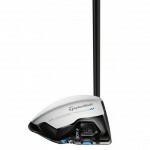 First off, the technology for the 2014 Limited Edition TaylorMade SLDR White Driver is the same as the regular 2013 TaylorMade SLDR Driver (Buy it HERE new or used at 2ndswing.com.). This includes the 460cc clubhead, with the company’s signature 20-gram sliding weight for more draw or fade bias’ shots — and — an adjustable hosel that can raise or lower the stated loft by as much as 1.5 degrees. Okay, so while no changes have been made besides the white crown, the TaylorMade SLDR White Driver feels a little better in my mind when swinging it. According to TaylorMade, this contrast with the white crown, dark face and slot at the back of the clubhead allows for better alignment both at address and at the point of impact (POI). While swinging it, I can say that I did feel a little more confident. If I wanted to swing a little harder, I could do so and still square the ball up on the clubface. The 2014 TaylorMade SLDR White Driver’s sole. As stated above, the only difference between the TaylorMade SLDR White Driver and the original SLDR Driver is the white crown. I truly think that the white crown allows for an easier time aligning the ball and club. This being the only difference, though, I don’t know if I could rate the club higher than a B grade. 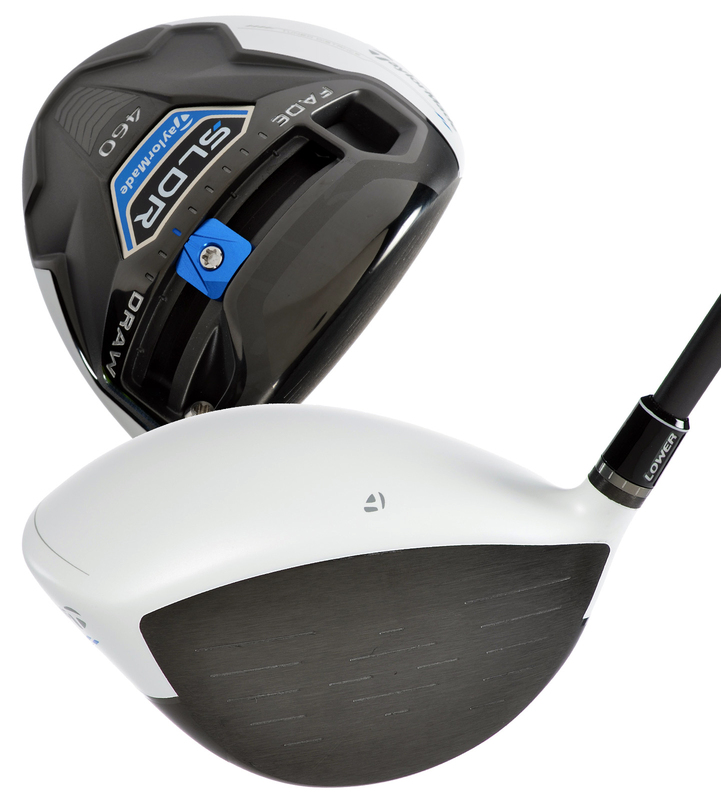 The TaylorMade SLDR White Driver’s face lines up better with the white crown, our critic says. When swinging the TaylorMade SLDR White Driver, I decided to try and focus on having my swing speed be between 110 and 115 mph. After taking 20 swings that fell between the desired swing speed, I averaged 112 mph swing speed with a regular distance of 276 yards. However, this did include one poor shot that snap-hooked right. Then I adjusted using the sliding weight, and I was hitting more shots straight or with a slight draw. Since as your swing can change from day to day, having the ability to adjust the clubface on the TaylorMade SLDR White Driver is a huge advantage when trying lower your score and hit more fairways. Another benefit is that when using the sliding weight underneath the club, shot shaping can be achieved relatively easily with good results. As long as you remember to let the club do the work and not try to guide the ball, you will be able to achieve your desired shot shape after a few minutes adjusting the club head and practicing with it. The 2014 TaylorMade SLDR White Driver is slick from the toe and at address, our critic says. Overall, if you have never used an adjustable clubhead for your driver, the TaylorMade SLDR White Driver would not be a bad choice. The ability to adjust the clubhead to your particular swing rather than the other way around gives confidence to even the most average golfer. 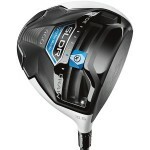 While the new cost can be a bit daunting, the price at 2ndswing.com ($319) — and other SLDR drivers is tough to not at least consider when purchasing this quality-made driver. 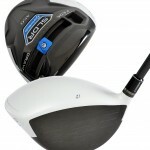 TaylorMade SLDR White Driver Review. The TaylorMade SLDR White Driver’s eponymous crown, replete with Twitter hashtag — #SLDRwhite. 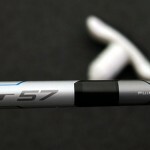 A TaylorMade SLDR White Driver stock shaft. 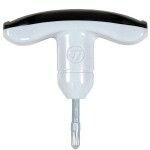 TaylorMade SLDR White Driver torque wrench. 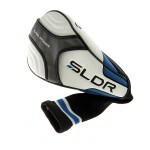 TaylorMade SLDR White Driver headcover.